RTG Pro Aluminum 6 Water Scoop with Stainless Tip for Metal Detecting BB6TIP. Carry Bags, Pouches & Covers. RTG Pro 48 Aluminum Water Scoop with Stainless Tip and Rubber Hand Grip. This lightweight, durable sand scoop is ideal for the beach and shallow water. 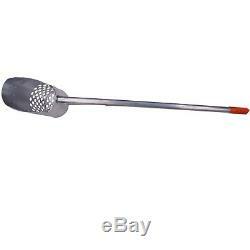 This 6' aluminum water scoop has an added stainless steel tip on the end of the scoop. The tip is made of 16 gauge non-magnetic stainless steel. This lightweight shallow water and beach scoop has 5/8 diameter holes punched into the sides and the back of the scoop. The aluminum bucket of the sand scoop is 6 " in diameter by 11" long. 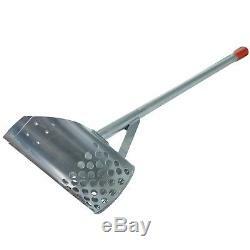 The aluminum 1-1/4 diameter handle is welded to the top at a 20 degree angle so you can use your foot on the back of this scoop to push it into the sand. 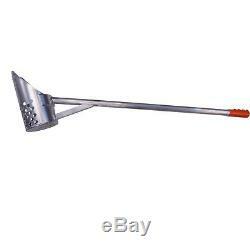 There is a T-top reinforced aluminum brace to give this scoop extra durability. 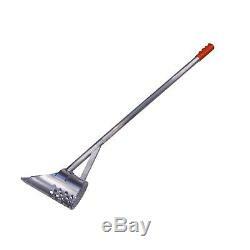 The handle is 40 long giving the scoop an overall length of approximately 48. The handle has a rubber hand grip for comfort. This is an excellent choice for a long handle scoop. Stock photo, handle grip color may vary. Listings for USED Items / Auctions. Opening hours: Monday through Friday 8:30AM 5:00PM. Our reason for being is to help You find the Best Metal Detectors and Accessories that fit Your specific needs. It's simple, we say NO to junk and make your Metal Detecting Experience GREAT. With Serious Detecting you know you will get high quality products and service without compromises. 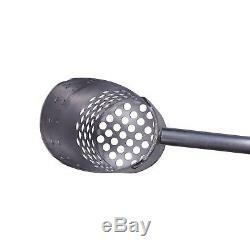 The item "RTG Pro Aluminum 6 Water Scoop with Stainless Tip for Metal Detecting BB6TIP" is in sale since Friday, March 28, 2014.